Yikes, has it really been a month since my last reading roundup? My apologies for the delay – life got in the way as it often does. As I’m back on nightshifts again (cue: sob, wailing, gnashing of teeth) I have been listening to a lot of audiobooks. 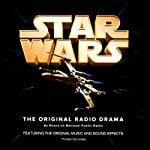 My favourites, and a highlight of my reading/listening month, were the NPR radio adaptations of George Lucas’ Star Wars. I picked the first one up, Star Wars, some time ago when it was one of Audible’s Daily Deals but had not got around to listening to it. I rectified that mistake last weekend and loved it. This adaptation has been licensed from George Lucas, so they were able to incorporate John Williams’ iconic music and the sound effects from the movies (blasters! lightsabers! R2D2!). It boasts an excellent cast including Mark Hamill and Anthony Daniels from the movies. At first it did take me a short while to adapt to the different voices for Leia, Han and Darth Vader, but the production quality and the excellence of the cast soon made me forget about that. As I’ve said before on this blog, the original Star Wars movies have such strong themes and powerful storylines and these productions did them justice. There were a few clumsy script moments as the radio production tried to explain what was going on (“oh wow, my lightsaber is coming towards me by the Force!) but other than that, there is nothing to fault these fantastic productions. I enjoyed this so much that I bought extra Audible credits so that I could pick up The Empire Strikes Back and The Return of the Jedi. Although I have not yet listened to Jedi, Empire was equally engaging. I give the productions five stars out of five. Towards the middle of the month I hit a bad reading slump. To get out of it I did what I often do: I browsed through the first few chapters of several books in my TBR pile to see which one would engage my attention. 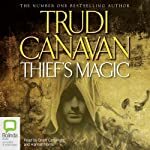 This time it was Thief’s Magic by Trudi Canavan. This is set in a world where magic is being used up by industry – rather like our fossil fuels – and is therefore highly restricted and follows two very different characters with two very different but parallel paths. What originally attracted me to the novel is that one of the “characters” is a talking magic book! Although it didn’t immediately grab me – it grew on me more slowly – it was enough to break my reading slump. I started reading it, but switched to the audiobook to continue during my nightshifts. I particularly enjoyed the narration for this book by Grant Cartwright and Hannah Norris. At first it took me aback that they are Australian, but then, I realised it made sense given that the author is Australian, too. I did enjoy Thief’s Magic and gave it a solid 3.5 to 4 stars out of five. 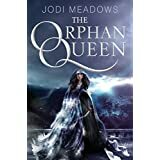 Jodi Meadows’ Orphan Queen has been highly publicised recently and I gave in to the hype and bought it. This book is about an exiled queen whose land was conquered while she was a baby and, now a teenager, plots to infiltrate the enemy’s stronghold to help her win back her kingdom. In all honesty, this book frustrated the heck out of me, and not in a good way. Too many times I found myself thinking “what, seriously?” at some of the things our protagonist says and does. The book got off on the wrong foot with me when I found several grammatical mistakes in a the first chapter. When I’m paying $11 for a book, I do expect that the author and/or editor has corrected these. One or two I could overlook, perhaps, especially in an unfinished ARC, but not for the finished copy. Secondly, while the protagonist is kickass, her sheer cluelessness in certain situations really annoyed me. Furthermore, I felt the relationships described – such as the one between Wil and her closest friend – were unrealistically drawn. I just didn’t feel their friendship could continue in the way the author claimed it did after all that had happened. I also had predicted the “huge reveal” at the end of the book back in the first couple of chapters. To have something positive to say, I will say that I enjoyed Wil’s badassery and the snarky relationship between her and Black Knife. For me, personally, I just can’t recommend this book. Sorry. I gave it two stars out of five. Recently, Amazon had a one-day special offer where all the Bloodlines books were $1.99 each. This was too good an offer to pass up, so I added the last four to my collection. The series is growing on me, like the Vampire Academy series of which it is a spinoff. 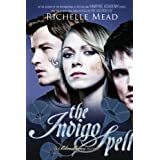 I didn’t particularly engage with protagonist Sydney Sage in the first book, Bloodlines, but I do love the world Mead has created, and now, after three books, I really like Sydney as a protagonist. I realised Mead had done her job well when I found myself mourning with Sydney over the loss of her car, Latte! I probably won’t marathon the rest of the books, but they are fun reads. Well there you go – that’s what I’ve been reading this month. Speak to you soon!